← 2013 Garlic Crop Is In! My point being, annuals only have a few short months to grow, bloom, attract pollinators, and produce mature seed before the light falls below 10 hours and the temps dip below their comfort zone. By now, most of them are done. 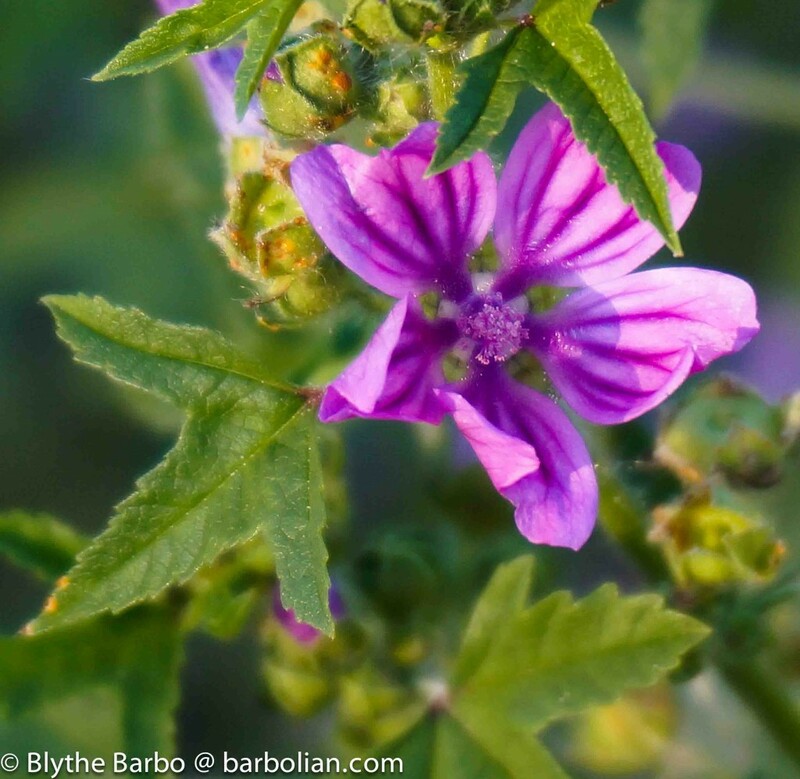 Blackberries are bearing fruit; flowers are few. And so here we are, approaching late August, and what is there left to eat? Perhaps I wouldn’t worry so much had we hung on to just two hives; but now that we have six (6!) heading toward winter, I can’t help but wonder if they have exceeded their carrying capacity. If they can fly 3 miles or more in search of food and at speeds up to 14 miles per hour, they could still cover a lot of territory several times a day. I have endeavored to create a sanctuary of sorts surrounding their hives so they won’t have to make these exhausting trips, but I have a hard time believing it is enough for so many. You can feel it. The days are getting shorter. Mornings often have that dense smell of the marine layer that rolls in across the fields and maybe decides to lift in the afternoons – maybe not. Or maybe it’s the reverse: the morning is gorgeous, but before long, the clouds start rolling in. You can almost see the water in the air, but it’s not really raining. You can hear the geese from afar but often don’t see them until they are up close. Spider webs catch the dew between branches and sparkle in the morning light. The days are often deceivingly warm, and we hang on to each and every one of them. Yes, we are rapidly moving toward the Fall. You can feel it in the hives, too. The bees know. They may have lived only a month or so, but still, they know. 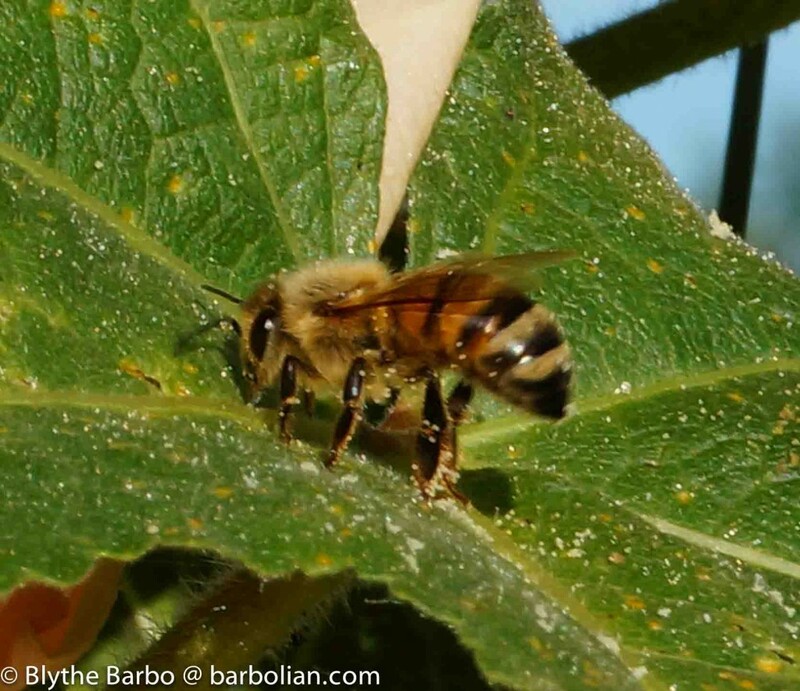 The bumbles are typically out first thing in the morning and late into the evening, even when it rains, but even the honey bees seem to be working harder than usual. You can feel the urgency. They start getting a little testy. Wasps start getting outright aggressive. 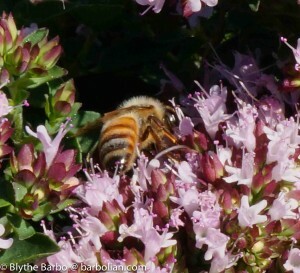 Aromatic Herbs, Primarily Marjoram, Oregano, and Thymes – many of them are in full bloom; it is difficult to count how many bees are on a plant at any given moment. Sometimes the whole plant seems to be moving! 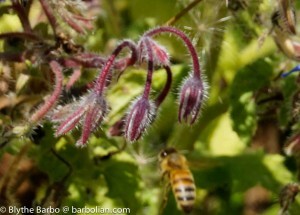 Borage – a somewhat weedy plant that has been blooming since May, is still going strong, and is constantly covered by bees. Some of the seeds that shattered from earlier blooms are already trying to reproduce before the cold strikes; they may provide a welcome treat. Clovers – our old standby – red and whites still bloom. 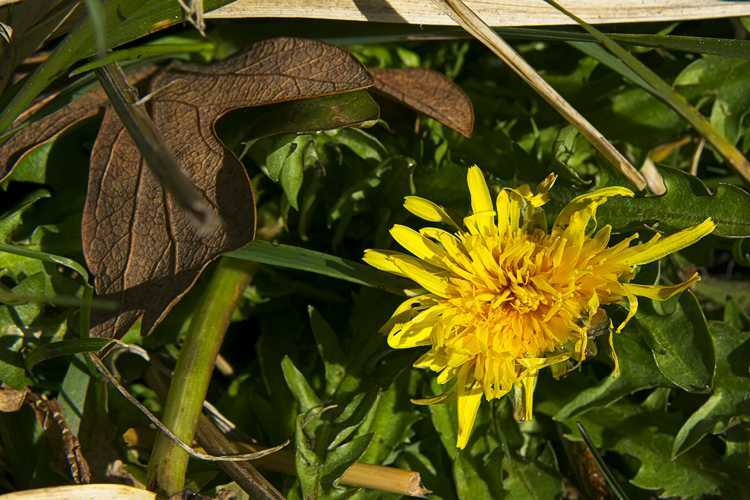 Dandelions – although not as dense a carpet as in April, these are still blooming, along with some tall varieties. As if I needed another excuse not to mow the lawn! 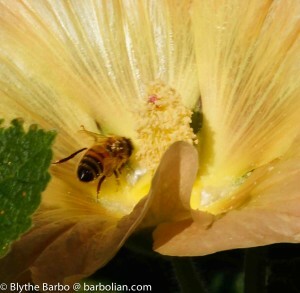 Hollyhocks – bold and dramatic – bees of all kinds explore the inner folds of petals and throw pollen dust about as they dive into the centers. These beauties are pollen powerhouses. Lavenders – heavily scented and a magnet for bees of all kinds. 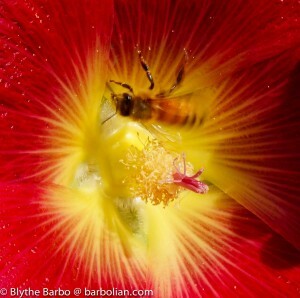 Sometimes the plants seem almost alive with the buzzing of bees. I have not been as enthralled with lavender as many other Sequimites, who have turned it into a major local tourist attraction; however, I can see that I need to plant a few more for the bees. 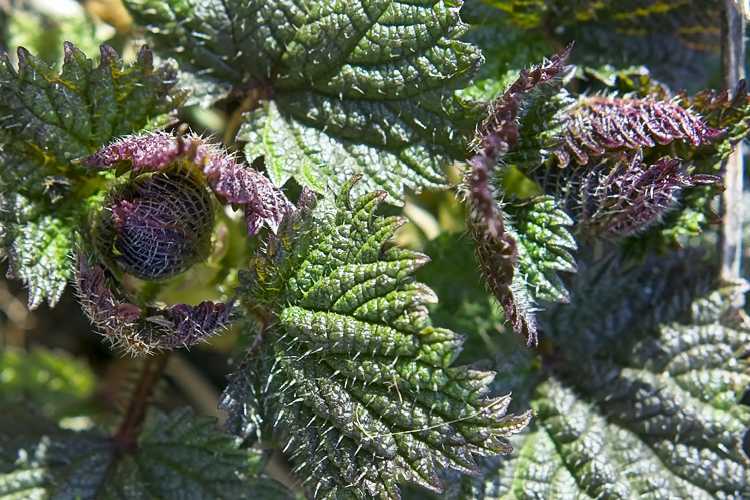 Phacelia – these have bloomed steadily from spring through summer, but are now mostly just straggly seed heads. Still, there are a few blossoms, and these are always appreciated. 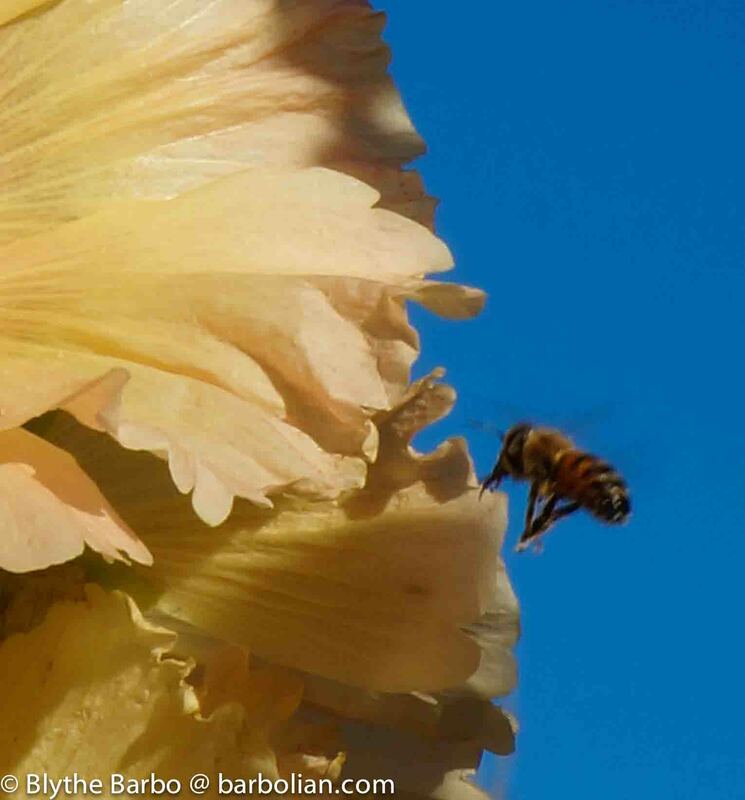 Sunflowers – those big, bold cymbals of summer – I planted a row of them right by the hives – but I don’t see the bees covering them like I thought I would. Still, I include them in this list. Winter Savory – I have had these shrubs for years – they seem to survive all kinds of neglect and abuse (even a car driving through the center of them) – although a bit woody, they still bloom prolifically and the bees adore them. Here are some others blooming right now in the garden that also offer pollen and nectar for our winged friends. Perhaps I should plant more of these? Chives – cut blooms are making a comeback! Fennel – mostly I see yellowjackets and wasps on these umbrella-like flowers, along with an assortment of tiny pollinators – but not so much the honey bees. Hmmm…I wish I had planted Cosmos this year. Just didn’t get around to it. I’d like to do more Anise Hyssop (mine are still pretty young), Echinacea, and the annual Butterfly Weed. Planting more perennials seems to be key, though; the plants aren’t in such a hurry to bloom and die. 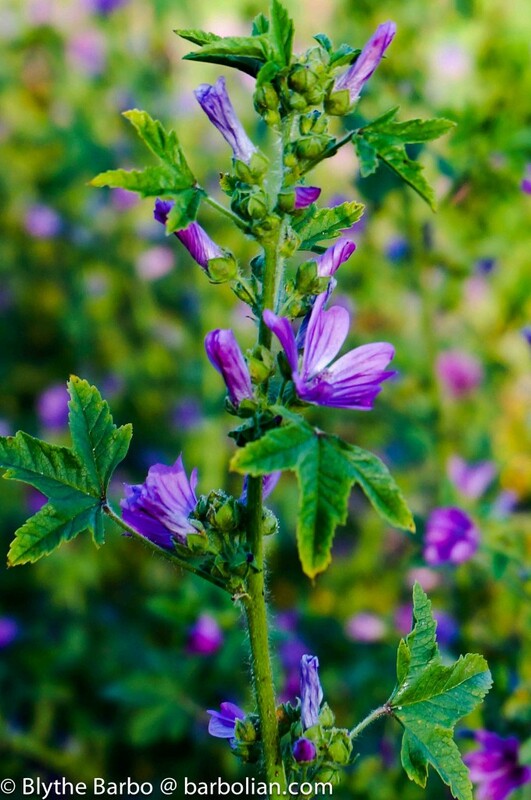 Seeds: I am in the process of saving seeds of many of the above-listed plants. Contact me for availability. Visit our Seed Page to get an idea of what we have (being updated). And yes! We’re always open to barters & trades! Might be too late for many of these for this year, but planning for next is always a good idea. Plus, over-wintered kale, mustard, and assorted brassicas are always a welcome treat when they bloom in early spring! And an important reminder: Don’t forget to ensure there is water available (for birds and bees alike). This summer heat can be stressful! 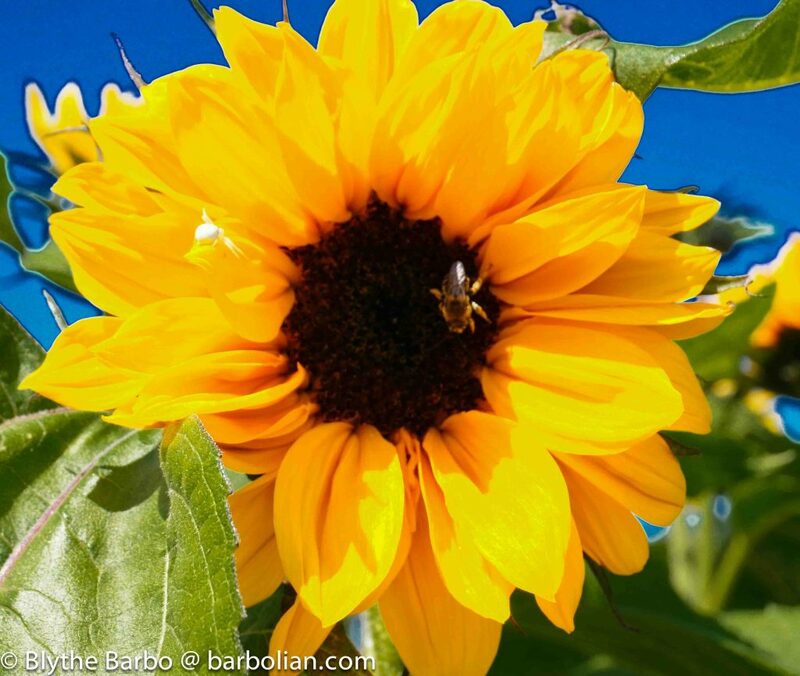 Question for you: what are you growing that you have found the bees really love at this time of year? What will carry us through September or even longer? Thanks again for tuning in, folks!